Ross was born in Hoven, South Dakota, and raised on the family farm in South Dakota--between Gorman and Gettysburg. He graduated from Gettysburg High School then attended the University of South Dakota. He transferred to the San Francisco College of Mortuary Science graduating with an associate degree in Mortuary Science in September 1976. His career in the funeral business began in October 1976 with Schrader-Prell Funeral Home in Wheatland, Wyoming. Ross acquired both the Douglas Funeral Home and the Wheatland Funeral Homes in 1988. 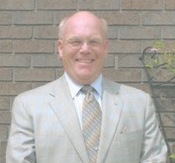 In 2001 he combined the funeral homes under the name, Gorman Funeral Homes. Throughout his 34-year funeral service career, Ross has served families in Converse and Platte Counties with professionalism and compassionate care. He is a board member of the Wyoming State Board of Embalming. His involvement in his community includes serving on the Converse County Hospital Foundation Board, a member of the Masonic Lodge, Moose Lodge, the Chamber of Commerce in both Converse and Platte Counties, and the Congregational United Church of Christ in Douglas. Ross has served his community as the Converse County Coroner since 1983. He and his wife, Biff, reside in Douglas and have two children, their daughter Tiffany who is married to Cameron Dean and son Geoffrey. Tiffany was born in Wheatland, Wyoming the daughter of Ross and Biff Gorman and was raised in Douglas, Wyoming. 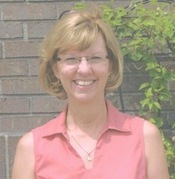 She graduated in 2001 from Douglas High School and attended the University of South Dakota in Vermillion, South Dakota. She was involved with Pi Beta Phil Sorority. She graduated from USD in 2005 with a finance degree. For the next five years she worked various place before deciding to go to mortuary school in 2010. Tiffany graduated from Worsham Mortuary School in September of 2011 and moved to Wheatland to begin her career as Funeral Director working with her parents. 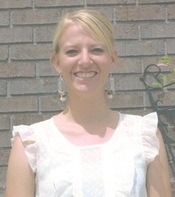 Tiffany is involved with the Selected Independent Funeral Homes Leadership Academy and a Study Group. She was just elected as a board member of the Platte County Chamber of Commerce, a member of the Saint Patrick's Catholic Church, and also teaches first Grade CCD classes. Tiffany and her husband Cameron reside in Wheatland and together they have two sons Brody and Dylan. Cameron is a first grade teacher at Libbey Elementary School here in Wheatland.